A plastic tub overflowing with neon-colored, plastic eggs waits to make its grand entrance. 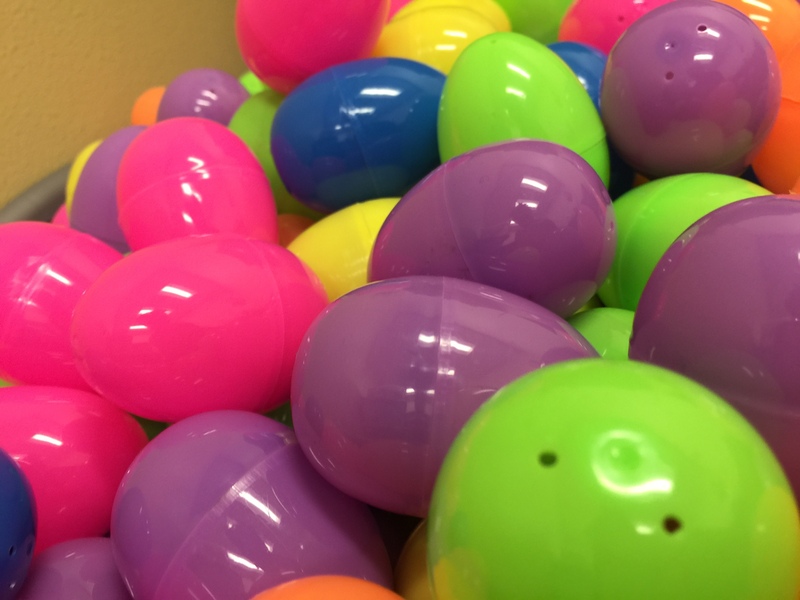 The Residential Hall Association is preparing for its Seventh Annual “Eggstravaganza.” Free and open to the public, the event will feature a 10,000-egg hunt on the lawn, as well as crafts, games, food, an inflatable village and a visit from a certain bunny. Harris started this event in 2010. “When I came to TJC in 2010, I noticed that we did not have big service projects, so I guess it was my way to make a difference for my staff and my department. It’s just I never expected it to be so big,” said Harris. Her goal was to create a fun and exciting event, not only for TJC students and faculty, but for people in the community. TJC’s Residence Hall Association has been preparing for this event since just after the Eggstravaganza in 2015. As time is ticking down, there is still so much to do. After the first Eggstravaganza in 2010 that had about 56 participants, they are now expecting hundreds of people to come out for this annual celebration. But, without the help of volunteers, this wouldn’t be as successful as it has been. Aukse Harris is expecting over 500 people at this year’s Eggstravaganza. Harris also said that anyone is welcome to come and help on the day of the event. They will begin hiding the eggs early in the morning and through the day leading up to the event. They will need assistance with games, bounce houses and most importantly, the Easter egg hunt. “They’ve stuffed over 20,000 eggs. So you could only imagine how many people will be out there grabbing all those eggs. It’s crazy; I can’t wait to see a bunch of college students fighting over Easter eggs,” said Jakeith Harris. This year the Eggstravaganza will be held at 5:30 p.m. on Tuesday, March 22 on Jenkins Lawn.